Interning abroad can have great advantages for your future career. Here are some tips to help you make the most out of your international internship. Immerse yourself in the new culture. An international internship can be a fantastic experience, with great benefits for your future career. But even if you find the perfect position, you will get little value out of your time abroad if you only spend time by yourself or with people from back home. Get out there: eat strange food, get to know the locals and visit interesting new places. This will help you develop creative ways of communicating and problem solving, teach you new perspectives and give you valuable insight into a new culture. Knowledge of a foreign language will be a great skill to have in your foreign career. Even just the activity of learning a new language can develop your brain and make you more creative. Living abroad can be a challenge. It takes you out of your comfort zone and you may be confronted with customs and perspectives that are vastly different from your own. Try to keep an open mind and learn to be flexible. It will not only make your life easier during your international internship, but these are important soft skills to have in any job. 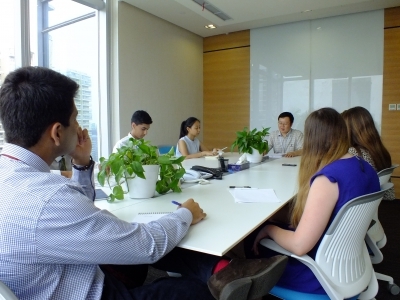 Even though there are many differences between local and international internships, there are also many similarities. No matter where in the world you are, there are a few things to remember if you want to take full advantage of any internship: be humble, ask a lot of questions, be proactive and build good networks. And don't forget to ask for a letter of recommendation.